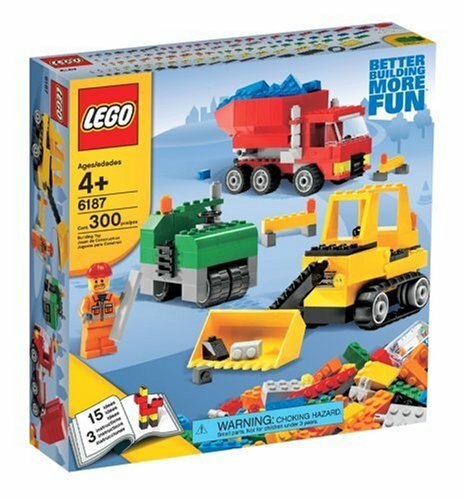 Little construction workers can dig up all sorts of fun with this set. They can build a truck, a front loader, a steamroller and much more. Includes one minifigure. 300 pieces.